We offer a full range of Clearwater property management services tailored to you as an investor, homeowner, or landlord. 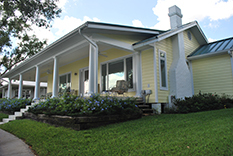 We have an extensive portfolio of single family homes, townhouses, condos, and apartments in the Clearwater area. Chartered as a municipality in 1915, Clearwater provides a long history of beauty. When Spanish explorers arrived in 1528, they learned that the inhabiting Indians, the Tocobagas, called the area "Pocotopaug," meaning clear water. Located in Pinellas County, Clearwater is home to the Best “City Beach” where residents are comfortable in business suits or flip-flops. More than 5 million visitors come to Pinellas County beaches each year while the permanent population of the county is almost one million residents strong. Clearwater is home to pristine white sand beaches, crystal gulf waters, warm sunshine, and plenty of hospitality. Meet Winter, the world’s most famous dolphin at the Clearwater Marine Aquarium. See the Champion Philadelphia Phillies during Spring training at beautiful Bright House Field. Enjoy the nightly "Sunsets at Pier 60" Festival where sunsets, music, magic and fun create lasting memories. Come to watch the National Superboat Championships or the Ironman. And don’t miss the internationally recognized Clearwater Jazz Festival. There is always something special going on at Clearwater Beach.